Fitness apps are ruining the Apple Watch. Apple should scrap them. My resolution for 2016: Less staring at spinning dots, more running. Apple has got its fitness strategy all wrong. It sees Apple Watch as a computing platform rather than a device, and so it promotes third-party apps instead of making better built-in ones of its own. That may be a fine strategy for Macs and iPhones, but it just does not work for watches and fitness trackers. Relying on third-party fitness apps means spending far too long staring at the spinning dots of death (the Watch equivalent of a spinning beachball), when we should be working out. 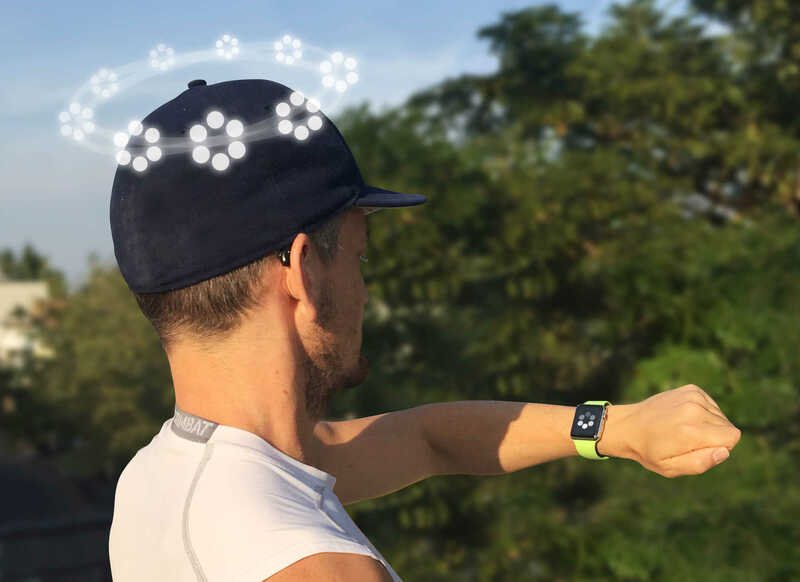 Instead of offering a range of underwhelming third-party workout apps, what Apple Watch really needs is one great built-in app that integrates with popular fitness platforms like Runtastic and MapMyRun. There was a lot riding on the Apple Watch launch. As the first new product of the post-Steve Jobs era, everyone was keen to see if Apple still had the old magic. It wasn’t enough for it to just be a great device. Like the iPad and iPhone before it, Apple Watch was expected to become another new computing platform, with its own App Store ecosystem. But a “device” is an entirely different beast to a “computing platform”. Devices are designed to perform a small number for functions very well, with hardware and software tightly integrated and configured for that purpose. Whereas computing platforms support a wide range of third-party applications, with a design and operating system that is generic and extendable to reflect this. Apple’s fitness guru, Jay Blahnik first spoke about his fitness platform strategy in August last year. Back then, with the promising new release of watchOS 2, it seemed to make sense. 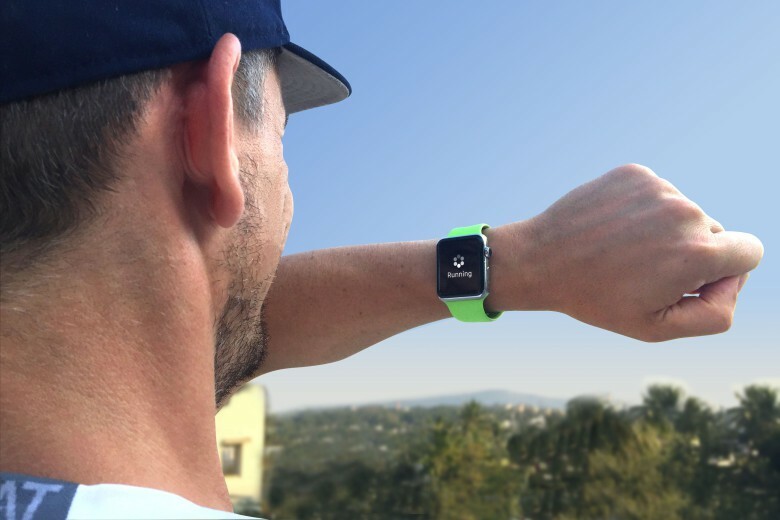 With the support of all the biggest fitness brands, Apple Watch could quickly become the leading fitness wearable. Five months later, things look rather different. Surprisingly few fitness apps have updated to support the new features in watchOS 2. And those that have tend to be glitchy, unreliable and difficult to use. The trouble is, a watch is just not suited to running third-party apps. It is, in its nature, a device. By trying to make its watch into a computing platform, Apple succeeded only in making a sub-standard device. It didn’t have to be this way. iPod was not a platform, but that did not stop it from becoming one of Apple’s most successful products of all time. At the height of its popularity, its sales dwarfed Apple Watch sales. The beauty of the iPod was its simplicity. It was just a device. It did not run third-party apps, (with the exception of iPod touch, which was really an iPhone in disguise). Instead, its hardware and software were designed to do one thing really well. Play music. The click-wheel was ideal for scrolling through track listings. You never saw a spinning beachball, six spinning dots or any other kind of lag. Sure, it didn’t do much more than play music, but it did that brilliantly. Without a glitch. Thanks to all the third-party apps, Apple Watch can do many different things. But it does not do any of them very well. Launching apps takes ages. Their user interfaces are clumsy and unintuitive. And their features tend to be limited. Creating a new computing platform is a complicated business. The complexity of Apple Watch is the result of its support for third-party apps, and this in turn leads to a poor user experience for the built-in apps that really matter. Of these five essential functions, two are fitness related. You might say I’m biased because I’m fitness obsessed (and you’d be right). But fitness turns out to be a core feature for most wearables. Apple likes to imagine their key competitors are other watch manufacturers, but it seems Fitbit’s fitness bands may have beaten them this holiday season. Given the importance of fitness to Apple Watch, it is strange how little attention Apple has devoted to its built-in Workout app. Unlike Apple Watch, when iPhone originally launched, it didn’t support third-party apps. This gave Apple a head start in refining and polishing its own built-in apps before it allowed third-party developers onto the platform. Even when the App Store launched, Apple still did not initially allow third-party developers to compete directly. For a long time, mail apps were banned from the App Store, because they “duplicated the functionality of built-in apps”. 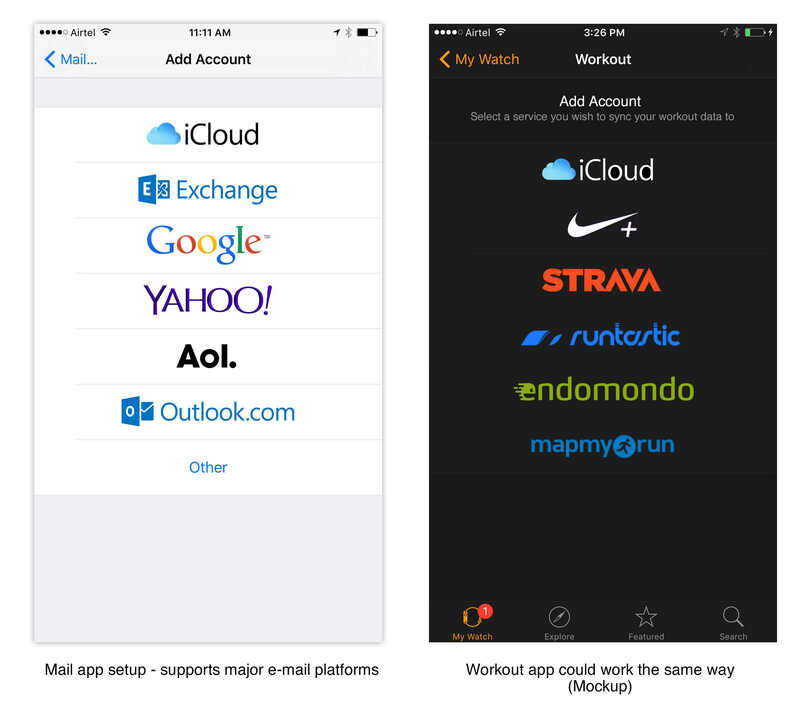 Competitor mail apps were only allowed onto the iPhone once Apple had made sure that its own Mail app supported all the major e-mail platforms, including Microsoft Exchange, Yahoo and Gmail, rendering third-party mail apps redundant. Apple learned this lesson the hard way from its experience with the Mac. Back in the 1990s, the first thing every user did with a new Mac was to install Adobe Type Manager. Back then, Macs were used primarily for desktop publishing and this required PostScript fonts that only Adobe Type Manager enabled. So every Mac user became dependent on Adobe. This problem was only resolved with the return of Steve Jobs and the launch of OS X, which offered native PostScript support. I suspect Apple vowed never to make the same mistake again, and allow a competitor to muscle in on their platform. With Apple Watch, however, it seems like Apple has forgotten this important lesson. Instead of ensuring its Workout app becomes the market leader, Apple has chosen to focus its efforts on helping third-party apps to catch up, by providing the HealthKit Workout API in watchOS 2. The result is that we now have a choice of many different fitness apps for Apple Watch, but they all do essentially the same thing, and none of them do it very well. These apps are slow to install and launch. And they are unresponsive and unreliable to use. I wish that Apple had taken the same approach to Fitness on the Apple Watch that it did with Mail on the iPhone. When you set up the Mail app in your iPhone, you are presented with a choice of different service providers including Exchange, Google, Yahoo!, AOL and Outlook. Why can’t Apple do the same thing with the Workout app for Apple Watch? Running watches from competitors, such as Garmin or TomTom work with all the major fitness platforms right out of the box. So you don’t need to download and install any special apps just to get your run data to sync with Runtastic, Strava, MapMyRun or Nike. Which makes me wonder if he had ever attempted to log a run using an Apple Watch. If he had, he’d know Apple is very far from the best. It is too late now to shut down the Watch App Store and focus on improving the core features instead. That horse has already bolted. Third-party Watch apps are there if anyone really wants them. But I think the time has come for Apple to focus on making the Watch’s core features work well. So I no longer need to rely on flaky third-party apps to log a run, and I never need to see those infernal spinning dots of death again.